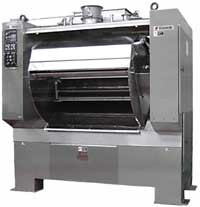 Horizontal High Speed Dough Mixer Series "HM" [FEATURES] | OSHIKIRI MACHINERY LTD.
Horizontal High Speed Dough Mixer Series "HM"
Water-cooled bowl jacket is available for below-zero (Celsius) temperature of coolant (such as PP glycol, etc.). Compact and handy chilled water system is available for model HM200 & HM300. Eddy flow of coolant for the best efficient cooling effect. 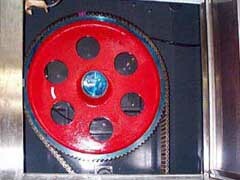 Affordable heavy-duty multiple strand roller chain drive. Equipped with automatic chain lubricator, standard for models over HM300. Disperses the load all over the machine to enable silent operation and long life. Solid and stable frame will never be distorted during mixing. 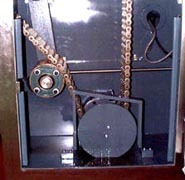 Drive section located on one side for easier maintenance. 140 or 120 deg. bowl tilting for easier dough discharge. Automatic dough discharge with PLC software facilitates automation at mixing area.